Southern Loggin’ Times’ March issue spotlights Fla.’s Ted Parker, who spends the time to produce a quality harvest so that he can have a solid working relationship with Champion, landowners and the community. Part of his formula for doing that is top-of-the-line equipment so he can spend less time turning wrenches and more time in the woods. 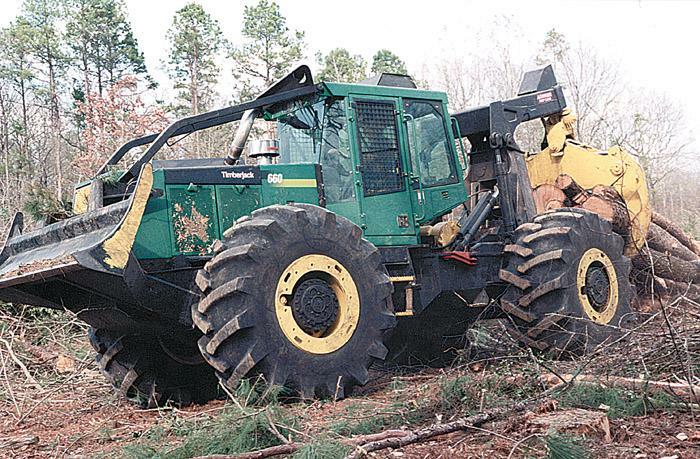 Also featured are Woodlands Forest Service, which has enhanced versatility with the addition of shoveling capabilities, and Georgia Logging Co., which has persevered through tough market conditions. An article discusses how a willingness to look for newer and better ways marks Long’s Logging. Hankins Lumber Co. is highlighted for installing a CAE Newnes-supplied planer mill. The key to logging in today’s efficiency-driven business environment is to offer a high­ly versatile operation, capable of working in all weather conditions, all site conditions and performing a variety of harvest prescriptions in an environmentally responsible manner. That was the objective when Woodlands Forest Service (WFS), based here, and principles W.G. Davis and son Sidney invested approximately $800,000 to add shoveling capabilities to work in wet sites. No one can doubt the faith of Rickey and Lisa Trammell. 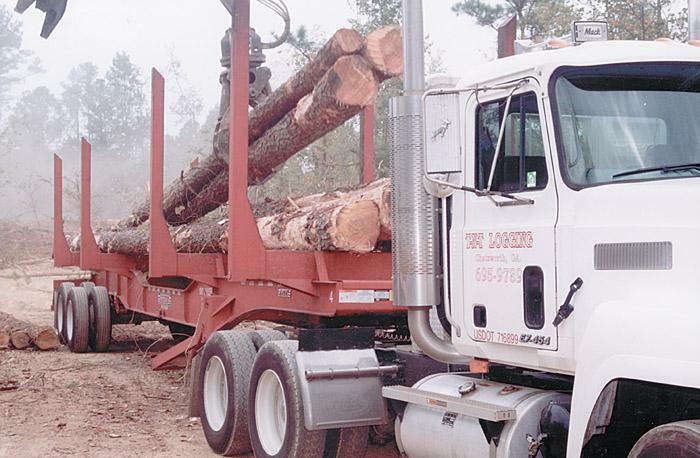 How else can you explain why they overhauled their company, Top Notch Timber (T-N-T) Logging Co. Inc., last April, when most loggers were struggling just to survive. “I bought this stuff and everybody told me I was crazy for buying it,” Rickey says. “It seems like every time I buy a new fleet of equipment, I do it at the worst time. 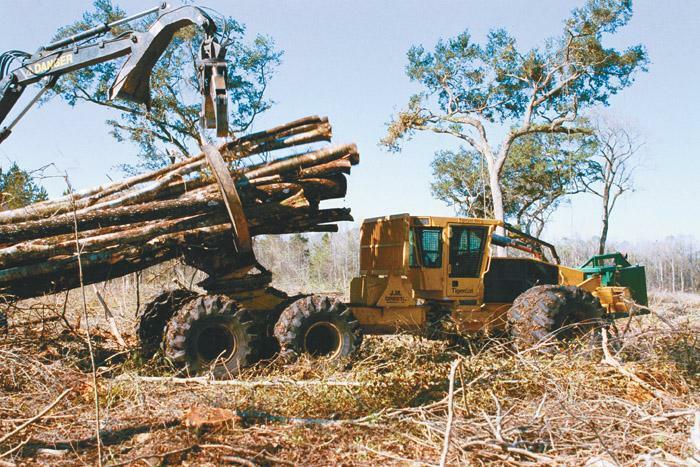 The quest for newer and better ways has led Long’s Logging to adopt Hultdins grapples with SuperSaws. This three-crew business has eliminated the need for sawhands in the woods and on the landing, and also replaced bucks saw by adopting the Hultdins system. 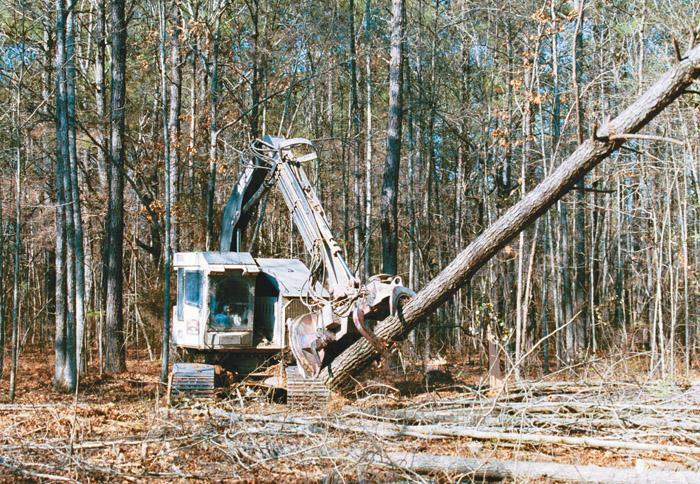 Hultdins was showcasing its grapple line at the Atlanta Expo in 1997 when the Longs spotted the grapple-mounted bar and chain dubbed SuperSaw. Burton Hankins, owner of Hankins Lumber Co., based here since 1950, has always had incredible foresight. Moving up through the ranks in sawmilling during the last 50 years, the 69-year-old has learned a lot about the art of outfitting productive lumber facilities. 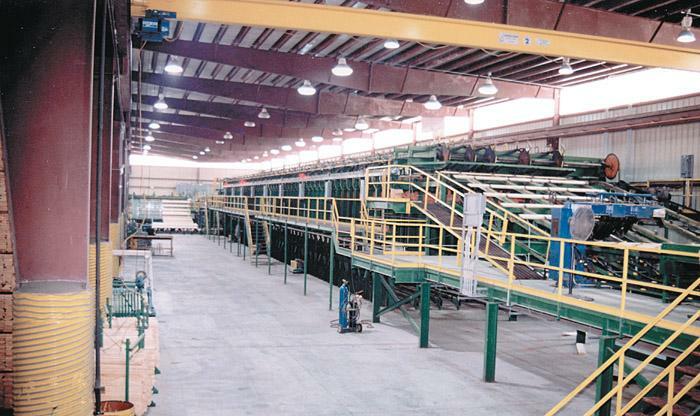 The mill has reached more than 83MMBF of southern yellow pine production, one shift, annually by staying abreast of technological advancements that have increased production and given the plant the most recovery available. Publisher DK Knight gave me a prophecy while I was arranging my trip to Georgia this past January: “If it snows, you’ll know it wasn’t meant to be.” It had been cold and I’ve had a trip or two almost totally ruined by rain, so I took the comment as a joke. Sure enough, the trip began with snow. When driving into Georgia on Sunday, January 23, I knew Monday would be a wash-out because there was standing water everywhere, and it was still raining. 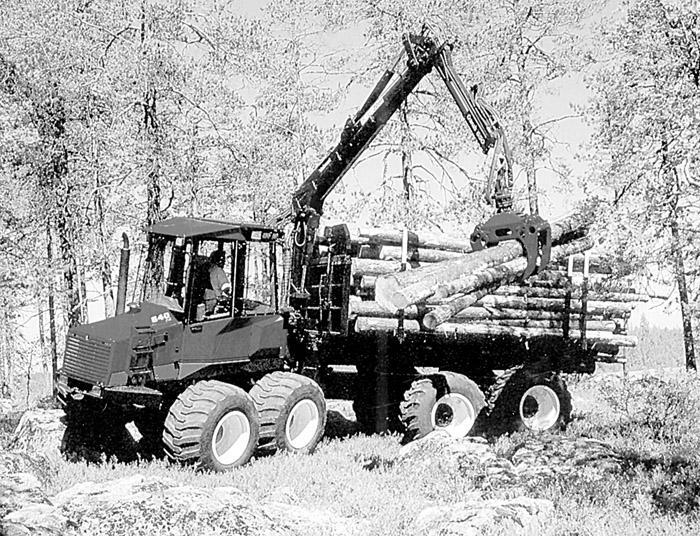 Partek Forest offers the mid-sized 840 forwarder with the economies of a smaller forwarder and the options of a larger forwarder. Available in 6 and 8 wheel drive, the 12-ton forwarders work on a wide range of operations. Cab has been redesigned from Scandinavian models to improve view through low-set windows and sloping engine hood. Forest Resources Assn., formerly American Pulpwood Assn., will hold its annual meeting April 15-18 in Williamsburg, Va. 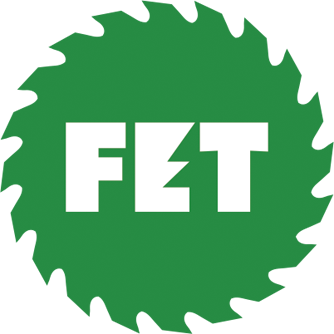 The program will address new realities of wood supply and pro-forestry activism. Speakers at two general sessions will address “The Third Millennium: Time for Global Wood Fiber Expansion and Pro-Forestry Activism,” while panels at Saturday’s half-day National Logger Training and Education Conference will probe new directions for growth in timber harvesting professionalism.